The legal dispute between Starr County and the American Civil Rights Union came to an end last week after the parties reached a settlement agreement in the case over the county’s voter lists. Last Wednesday, the parties filed a joint motion notifying the court of the agreement and requesting the case be dismissed with prejudice, prohibiting the case from being filed again. U.S. District Judge Ricardo Hinojosa officially dismissed the case Friday. As part of the agreement, the county agreed to pay a portion of the ACRU’s legal fees for bringing the lawsuit. John Rodriguez, the county elections administrator, said he was not yet authorized to disclose how much the county agreed to pay. A public information request from The Monitor for a copy of the agreement is still pending. The county also agreed to actively work to identify and remove deceased registered voters, using all available databases provided by the state and reviewing obituaries in the area, and agreed to improve the processing of potential duplicate voter information from the state. Beginning in January 2019, the county will report the actions it’s taken to address those two issues to the ACRU for two years. 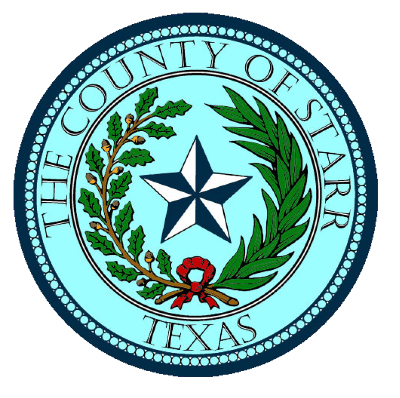 Other stipulations include that the Texas Secretary of State’s office will provide enhanced training for the Starr County elections staff, the county would access the U.S. Postal Services’s National Change of Address Database to identify people who moved out of the county, the county will use state and federal jury disqualification forms to investigate whether registrants are not eligible, and within 60 days of the settlement, the county will resolve all pending maintenance actions regarding possible ineligible registrants. The ACRU, a conservative-leaning legal organization, filed the lawsuit against the Starr County elections office in March 2016, accusing then-Elections Administrator Rafael Montalvo of not maintaining clean voter rolls, a violation of Section 8 of the National Voter Registration Act. According to the lawsuit, 30,198 citizens were registered to vote in the county but only 27,975 people were eligible to vote. Before filing the lawsuit, Carleson sent a letter to Montalvo in December 2015, notifying him of the apparent violations and expressed the intent to meet with him in person to address the problems. In their lawsuit, the ACRU alleged Montalvo failed to produce records of the how the county maintained their voter lists, however Montalvo, who died in 2017, denied those claims telling The Monitor in 2016 that a representative from the ACRU refused to take a package of records Montalvo provided him. At the onset of the court proceedings, Hinojosa, the federal judge presiding over the case, questioned why the ACRU was not suing the secretary of state’s office which was responsible for providing voter information to the counties. Eventually, the secretary of state’s office was added as a defendant in the lawsuit. Discussions to reach a settlement were derailed earlier this year after uncorroborated claims that a deceased county judge had voted after his death surfaced in February during a Senate Select Committee on Election Security. Brantley Starr, deputy first assistant attorney general, stated before a the senate committee that voting records showed votes were cast under the name of former Starr County Judge Blas Chapa after his death in 2010. He said the information arose during the discovery phase of ACRU lawsuit. Voting records obtained by The Monitor show Blas Chapa voted two months before his death but do not indicate anyone voted in his name anytime after that. During a hearing in April, J. Christian Adams, an attorney for the ACRU, said he believed Starr’s testimony was based off the attorney general’s office own analysis. However, Philip Arnold, the attorney representing Rodriguez, the current Starr County elections administrator, accused the ACRU of disclosing and spreading the false information. Despite the disagreement, the parties indicated at the time they still expected to reach an agreement out of court.